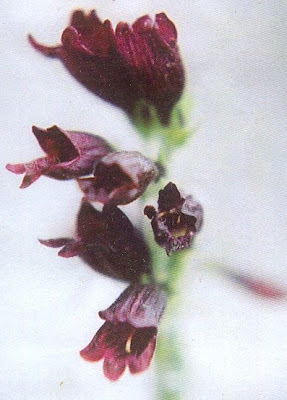 This is a photo of a Whipple's Penstemon that appeared on the front of a packet of seeds I purchased last year, hoping to grow some of these wild flowers. Unfortunately, our attempts to grow them were unsuccessful. They are a native wildflower of the southwestern United States. Although I'm not certain of the origin of their name, they are probably named after Major General Amiel Weeks Whipple. In 1853-54, Amiel led an expedition in search of a railroad route near the 35th parallel to the Pacific Ocean. (The 35th parallel passes through Albuquerque, NM and continues westward through Arizona to California.) The Atchison, Topeka and Santa Fe Railway (often abbreviated to Sante Fe) appears to have later followed that approximate route across New Mexico, Arizona and California.